The whole was celebrating the abdication of the queen and the inauguration of the king, and we drove to the beautiful Punt van Reide where we had the whole area to ourselves. And the birds. And lambs. 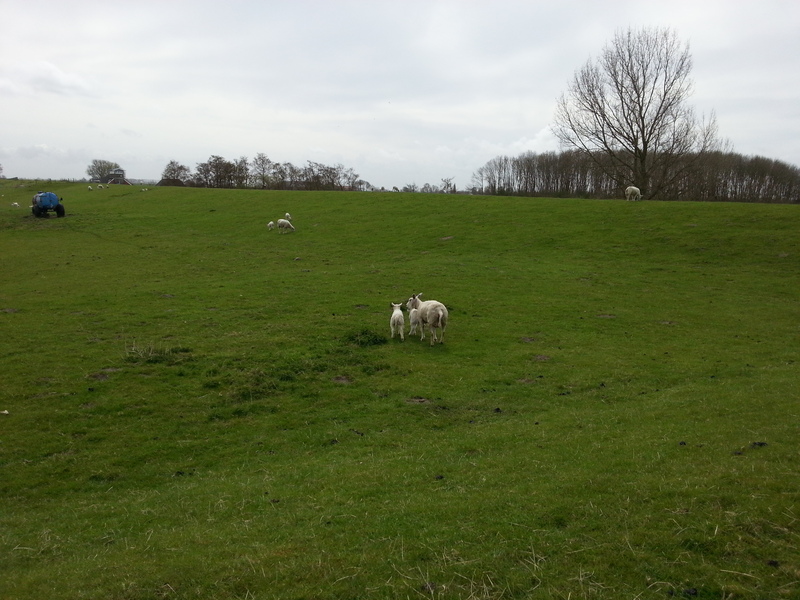 There were many lambs in the fields ranging from what looked like they were born only last night to somewhat older. 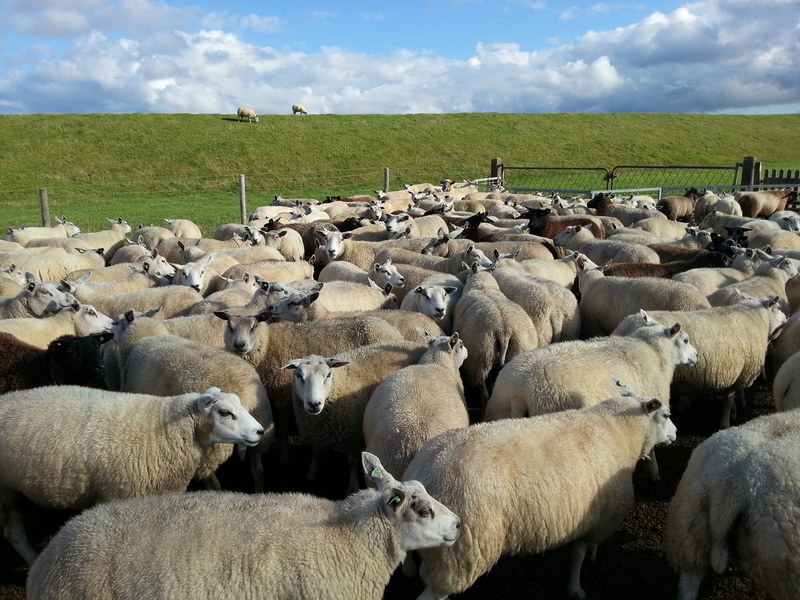 They were well protected by their sheepmothers. 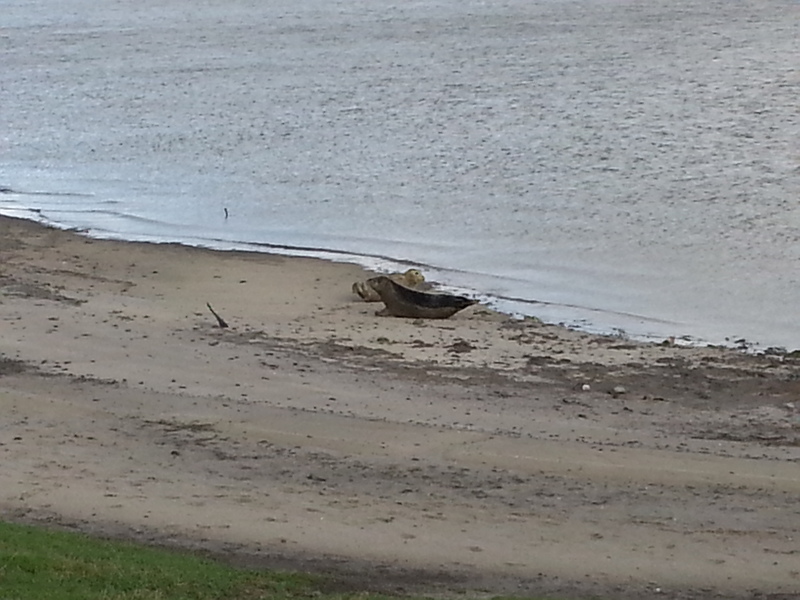 Two seals were sunbathing on a small strip of beach. They were keeping a close eye on us but never fled into the water. A third seal swam around and occasionally looked at us. 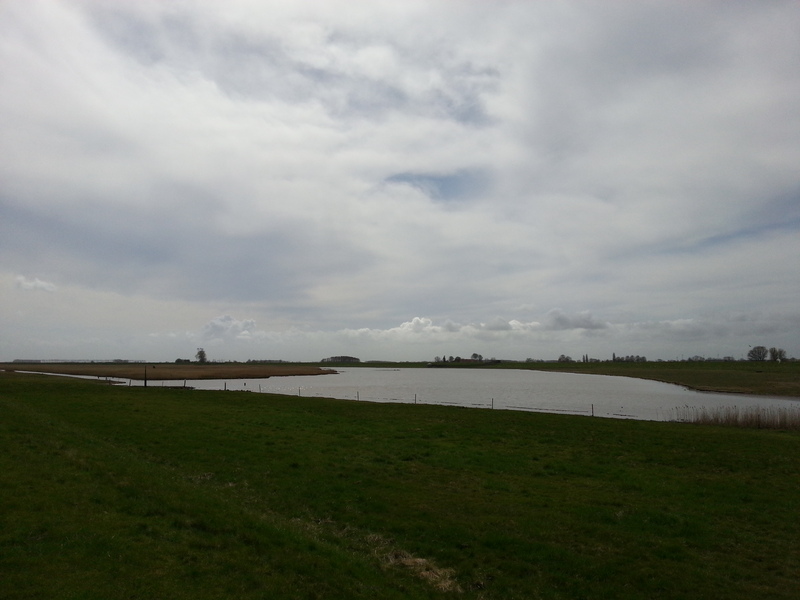 There are around 350 seals in the Dollard (Dollart) which is the bay between the Waddensea and the river Ems. I doubt that this has anything to do with the Icelandic réttir but the sheep were kept in a circular sheepfold. 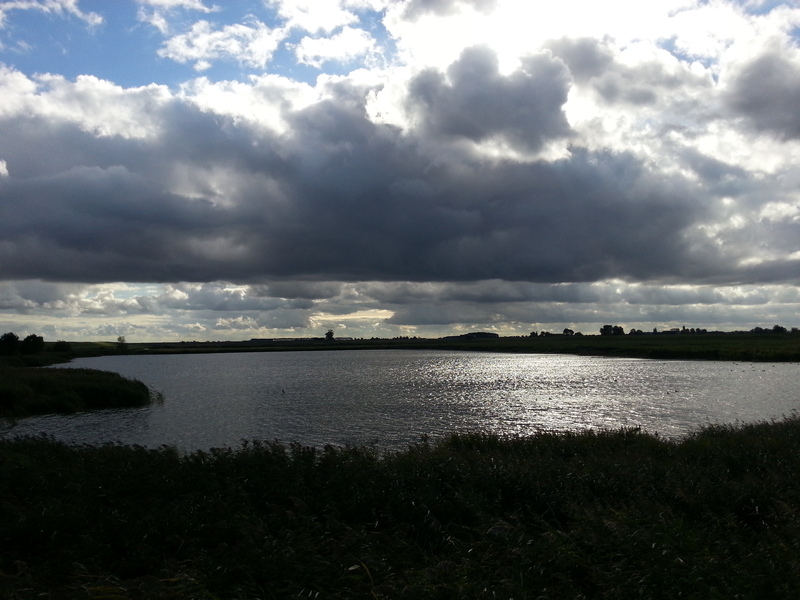 In the nature reserve of Polder Breebaart the clouds are rather dramatic today.